I haven’t been writing steampunk for very long, and I’ll admit it’s difficult to be precise about what is and isn’t steampunk. I’ve found various definitions of the word, but in a nutshell steampunk is a subgenre of science fiction and speculative fiction set in an era of steam-powered technology. Strictly speaking a steampunk story doesn’t have to be set in the nineteenth century but even if it isn’t it should still have that Victorian feel to it ie. an atmosphere that is gritty and industrialised. Jonathan Green’s Evolution Expects is set at the end of the 20th century but still conveys a very Victorian feel—the British Empire is still ruling the waves and Queen Victoria (fuelled by her steam-powered wheelchair) is about to celebrate her 160th birthday. Some steampunk stories are more historical fantasy, such as Agatha H and the Airship City which takes place in a European setting of no discernible era. A steampunk story can include the supernatural or paranormal, from vampires and werewolves to monstrous golems. eg Gail Carriger’s Parasol Protectorate Series, Cindy Pape Spencer’s Photographs and Phantoms. Steampunk is closely associated with a certain ‘look’ or aesthetic. Think of everyday items made from 19th century materials like brass, copper, glass, rubber. Machines and gadgets use cogs, wheels, levers, dials. Nothing is sleek or shiny, everything is engraved or adorned in some way. Characters put the ‘punk’ in steampunk. They can be orphaned pickpockets, mad inventors or scarred aristocrats. They can be rich or poor, beautiful or ugly, nobles or peasants, but in some way they are marginalised from the rest of society, and it’s their differences that propel the story. I think by its very nature steampunk lends itself to romance, suspense and adventure. Pitching eccentric characters into a cauldron of technological change, social upheaval and straitlaced Victorian values raises intriguing possibilities limited only by the writer’s imagination. 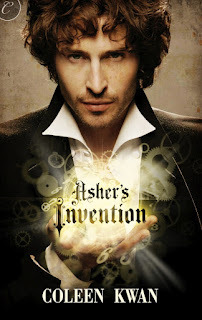 I’ve had great fun writing my steampunk novella, Asher’s Invention. It began as nothing more serious than a break from the contemporary romances I’d been writing, but the idea took hold of me, and I knew I had to finish the story. Five years ago, Asher Quigley broke his engagement to Minerva Lambkin, believing she was an accomplice in a scheme to steal his prototype for a wondrous device. Minerva swore she was innocent, though the thief—and Asher’s mentor—was her own father. Now, sheer desperation has driven Minerva to Asher’s door. Her father has been kidnapped by investors furious that he’s never been able to make the machine work. 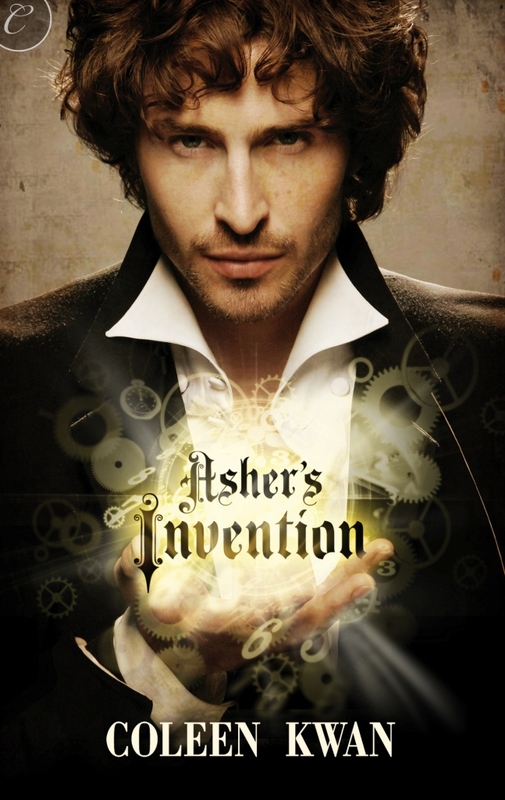 Only Asher, now a rich and famous inventor in his own right, can replicate the device. He’s also become a hard, distant stranger far different from the young idealist she once loved. I'm a huge fan of the steampunk genre and hope to publish something in it soon. Your book sounds really fantastic. Thanks for stopping by, @Savannah! You are welcome..Always glad to show support. Great post, Coleen. I've always wondered about steampunk and as soon as I can find the time I'll be sure to read it. Whitney, steampunk is a very entertaining genre to read.